We are a leading Manufacturer of spline shafts, input shafts, output shafts and automotive shafts from Chennai, India. 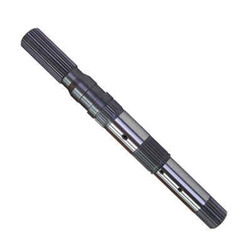 To keep the client satisfied, we manufacture & supply high quality Spline Shafts. 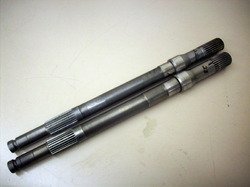 Excellent torque transmitting capacity, we assure our customers that these shafts are best in quality. Our adroit professionals utilize high grade raw material and ultra-modern technology, while manufacturing these shafts. 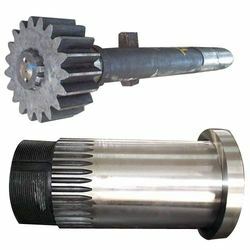 Moreover, these shafts can be availed in different designs at nominal prices. 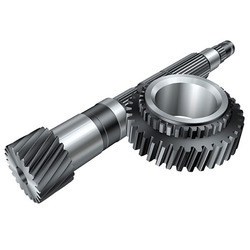 We are a reputed manufacturer and supplier of superior quality Input Shafts that are attached to the clutch which again is connected to engine. The offered shafts are designed by our proficient professionals in line with industry quality standards using high grade raw material and cutting edge technology. Apart from this, these shafts are sternly tested on different parameters of quality so as to ensure high durability. Clients can avail these shafts from us at market leading prices. Backed by rich industry experience and knowledge, we are engaged in offering our esteemed clients Output Shafts. The offered shafts are precisely manufactured under the guidance of adroit professionals using supreme quality raw material and cutting edge technology in sync with industry quality standards. Apart from this, we offer these shafts in different designs and specifications at pocket friendly prices. Our enterprise has gained recognition in the industry for offering excellent quality Automotive Shafts. Widely used in automobile industry, these shafts are manufactured by using quality proven raw materials and advanced technology under the vigilance of our adroit professionals. Our quality examiners test these shafts against varied parameters in order to maintain their quality. Besides, we offer these shafts in variegated designs and specifications. Looking for Automotive Shafts ?